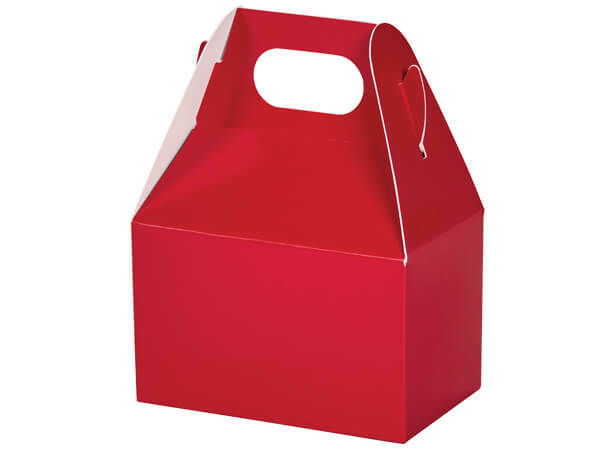 Red Mini Gable Boxes are adorable for small gifts & favors! Packed flat in sets of 6 boxes. Dimensions including top gable are 4 x 2-½ x 2-½". Perfect for Christmas, Valentine's Day, graduation & more! Printed Mini Gable Boxes have an easy, pop-up design. Boxes come 6 to a pack and usable dimensions are 4 x 2-1/2 x 2-1/2". Perfect for candy and favor boxes, gift basket fillers and small gift giving.